Normally I love making BIG jewelry, but every once in a while something small is just so sweet, and this little pendant is a just what the muse ordered! 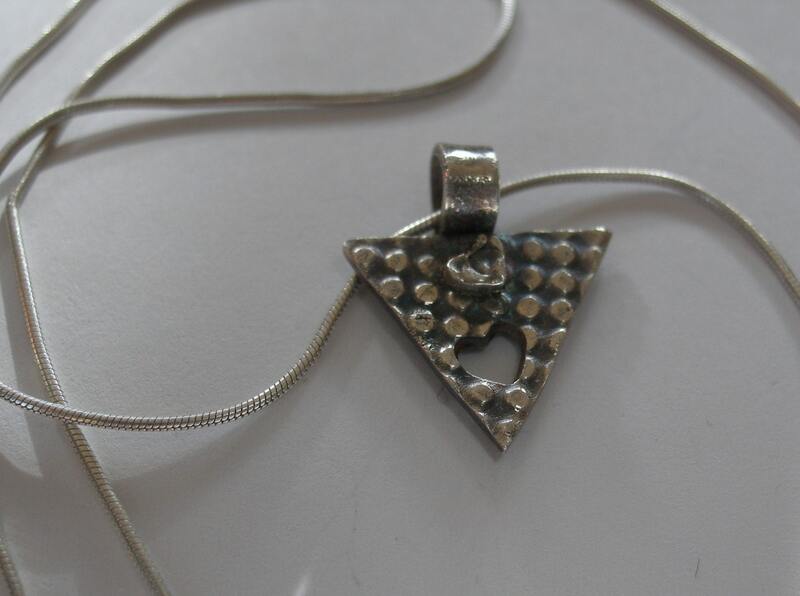 Made of textured and pierced Fine Silver, this cute little pendant says it all...with just a Bit of Love! Suspended from a sterling silver 18" chain, this pendant is about a half inch across. Shipping on this item is via Priority mail to guarantee quick delivery.